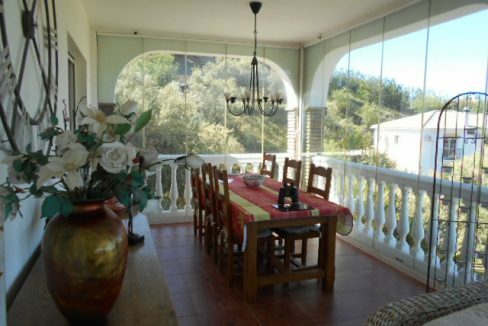 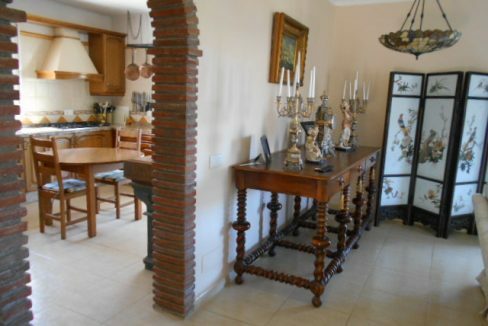 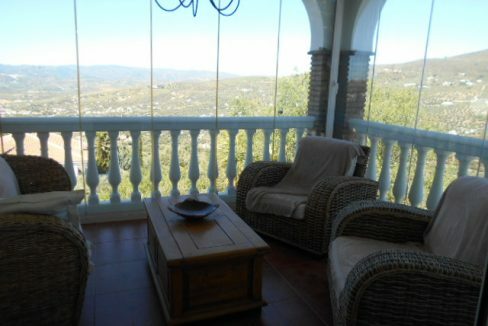 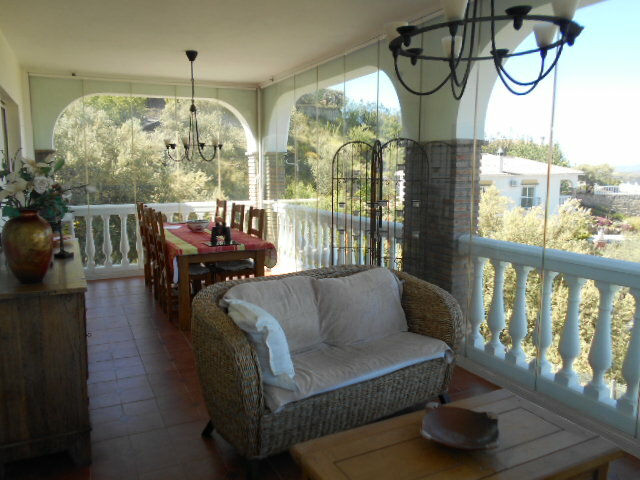 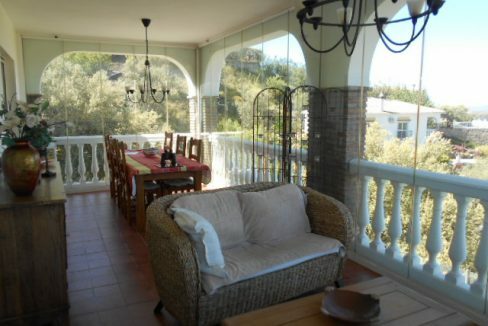 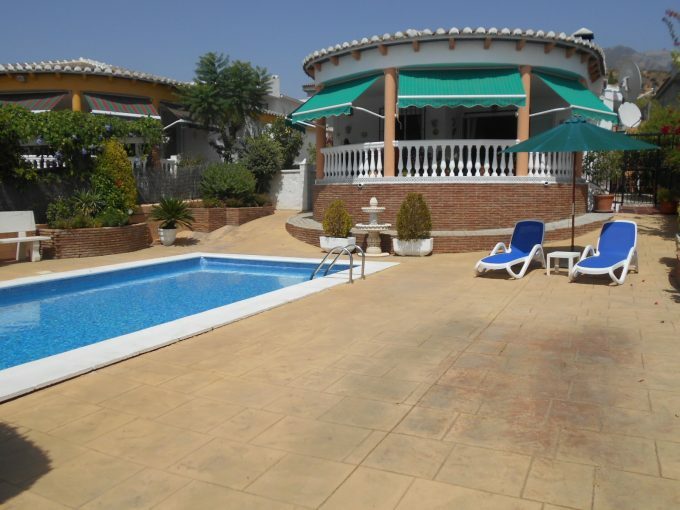 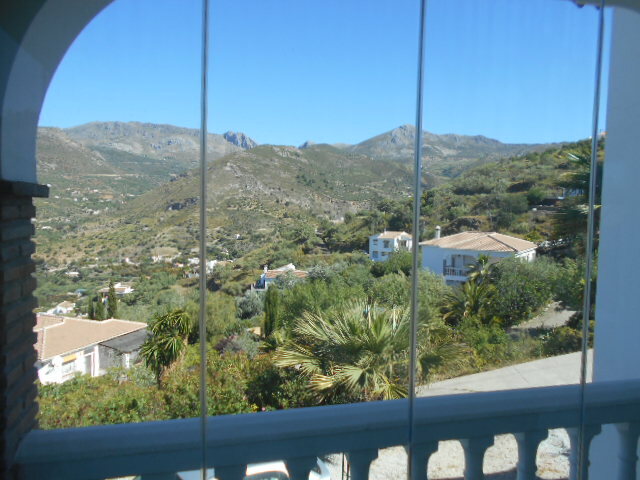 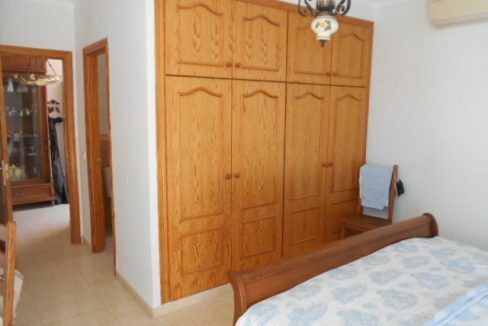 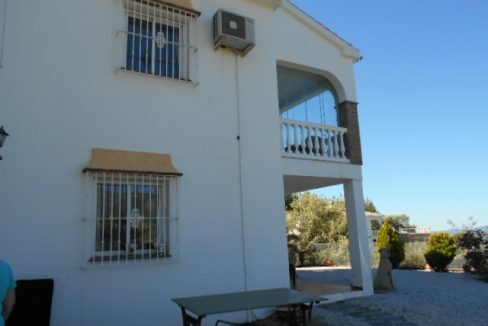 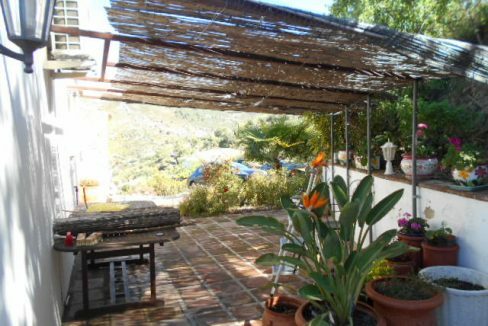 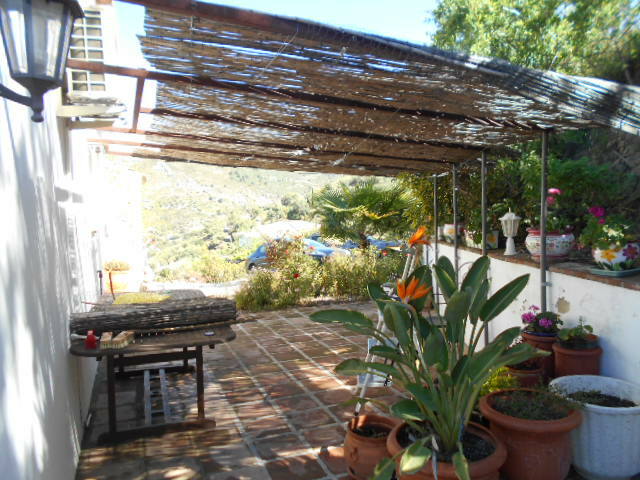 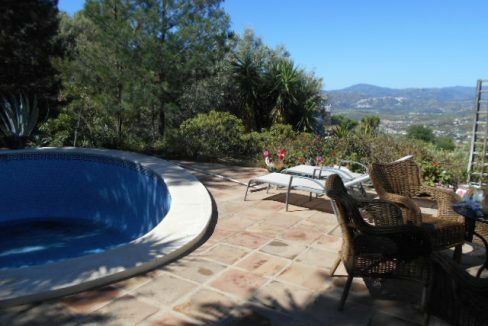 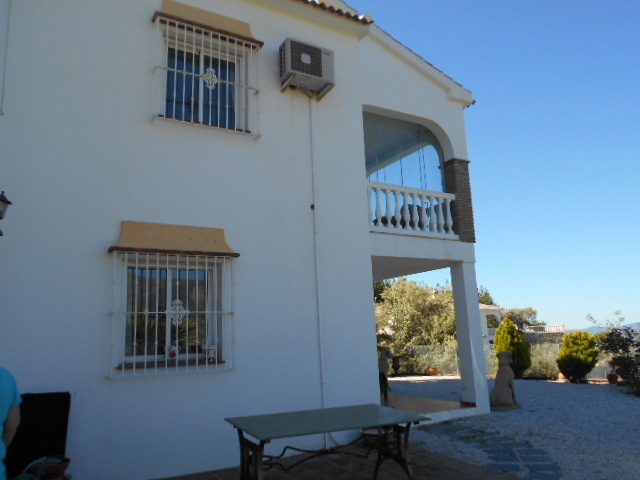 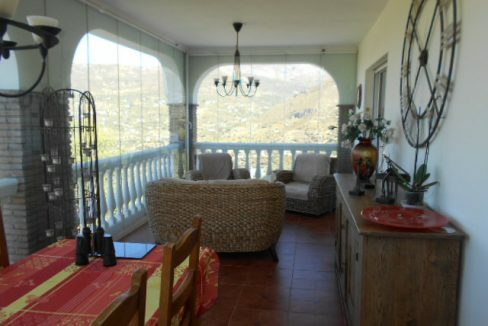 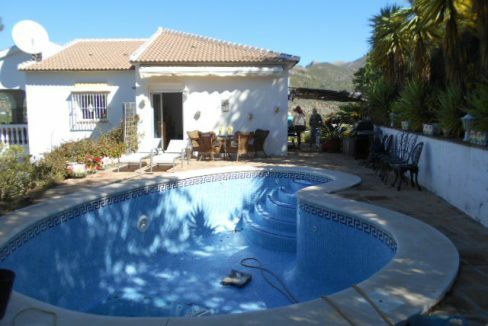 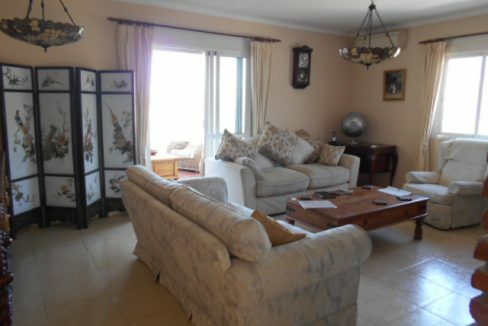 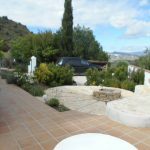 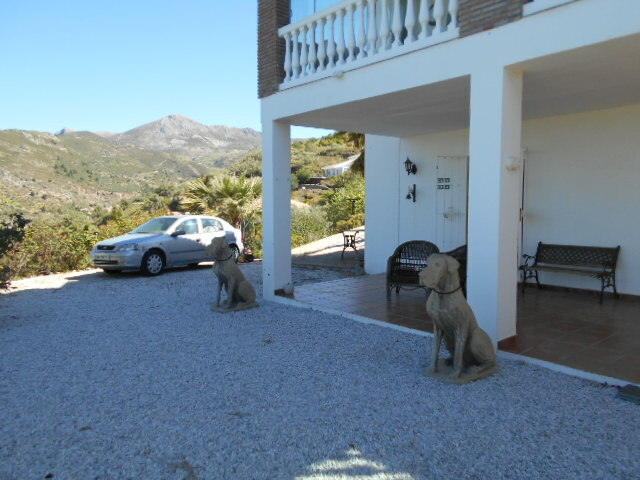 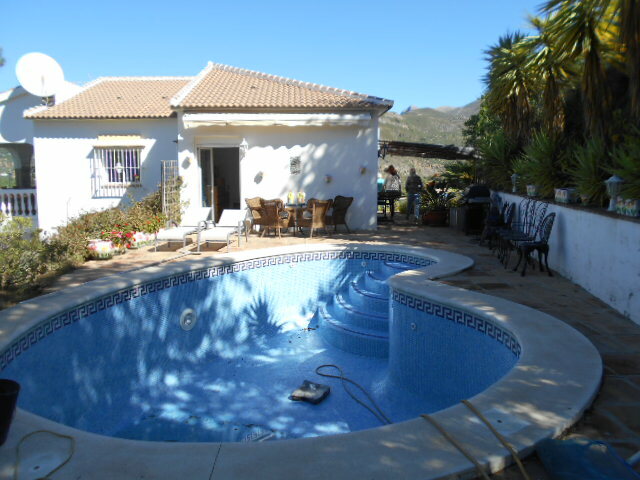 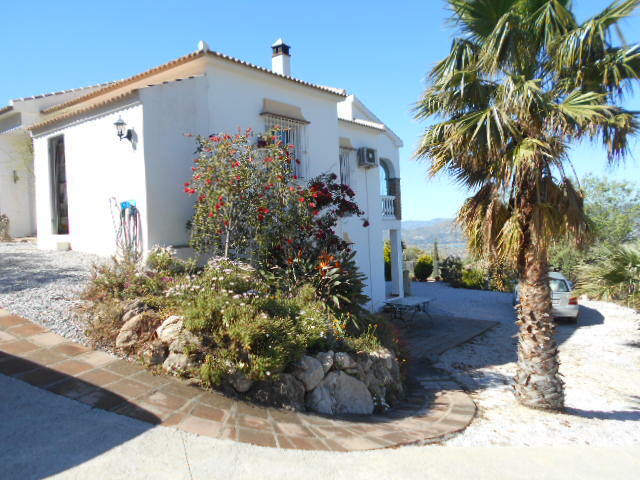 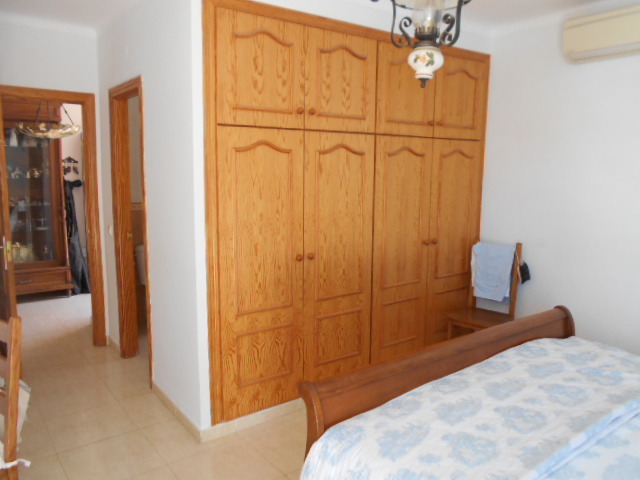 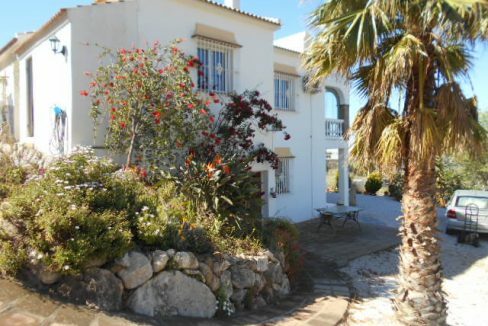 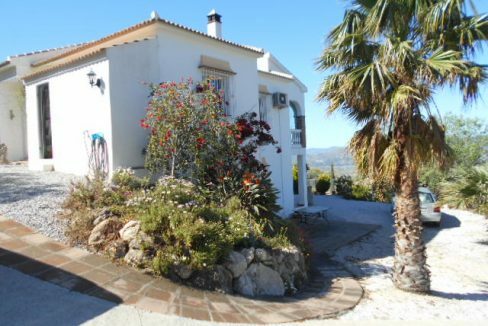 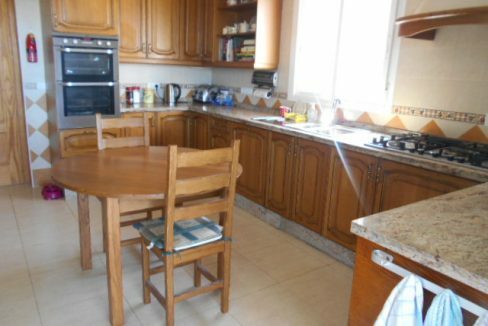 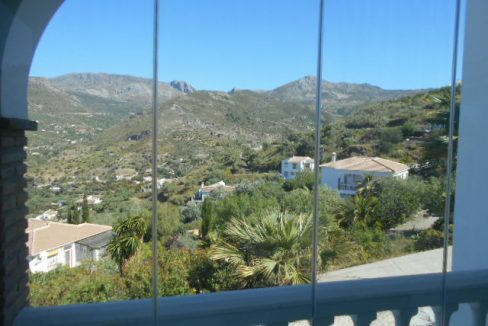 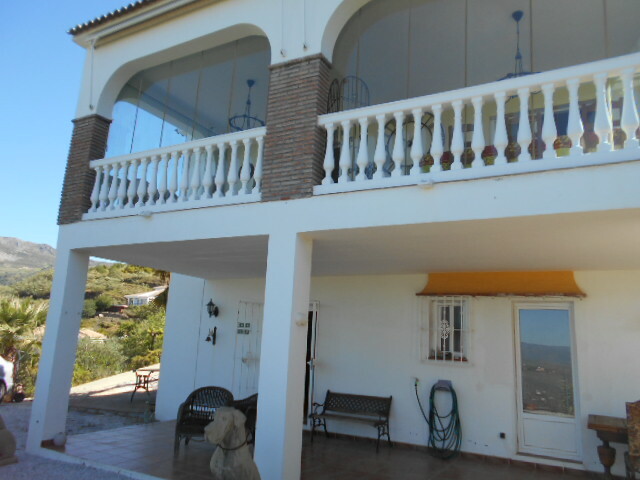 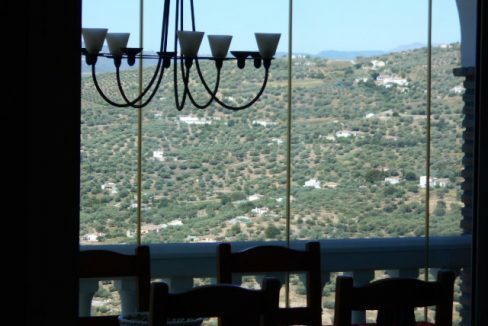 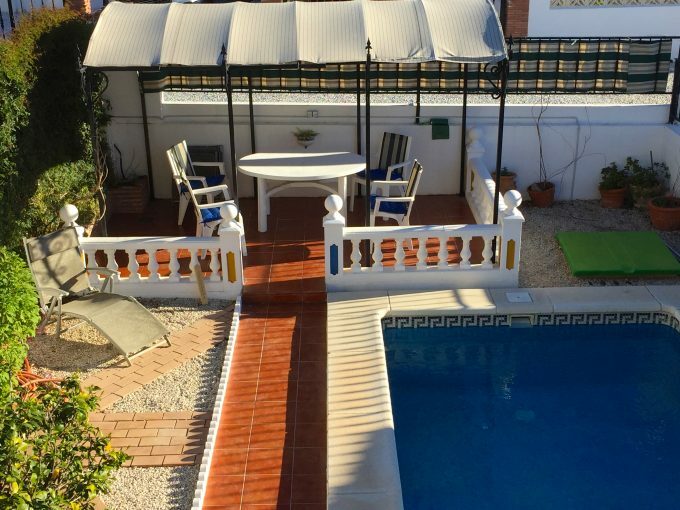 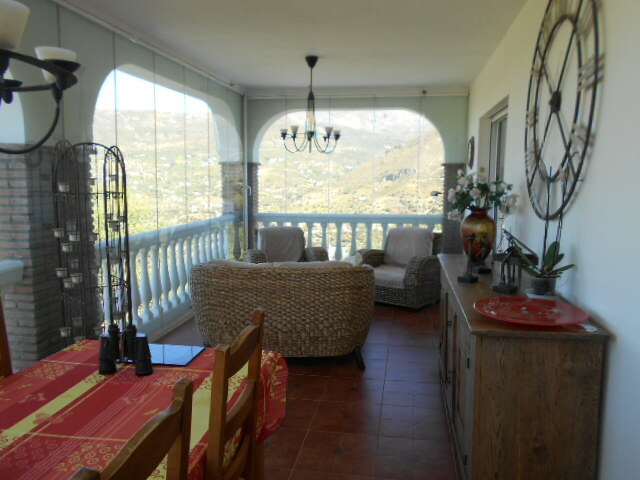 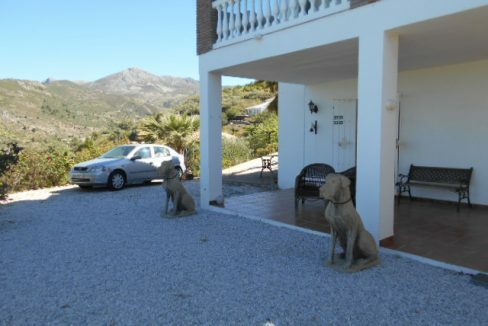 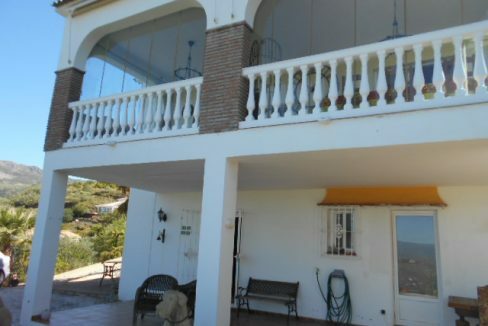 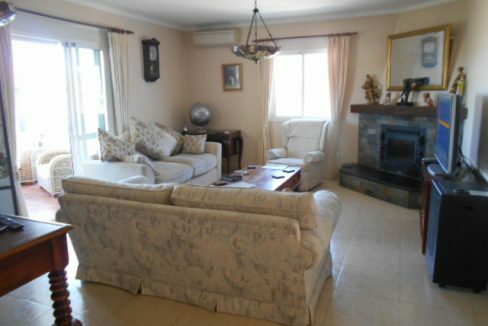 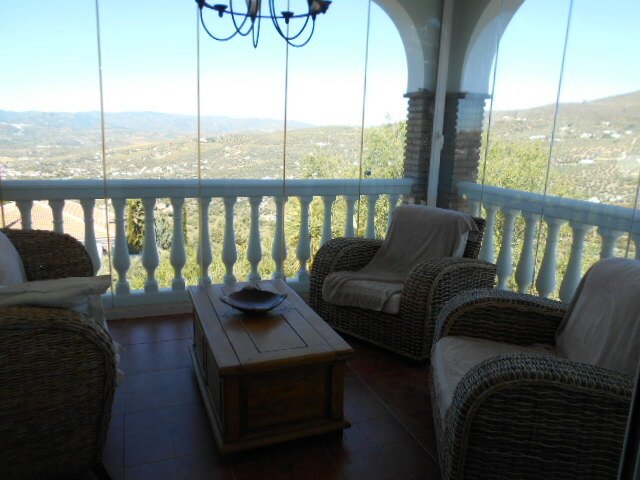 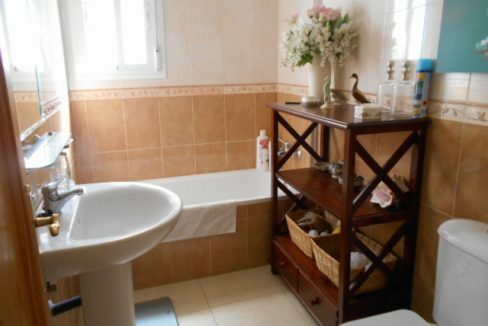 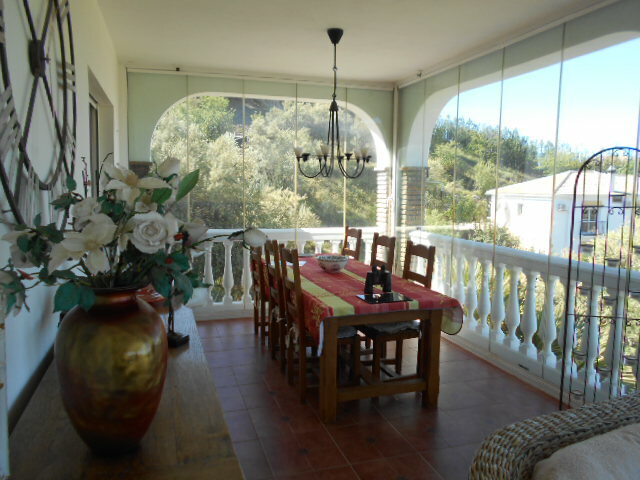 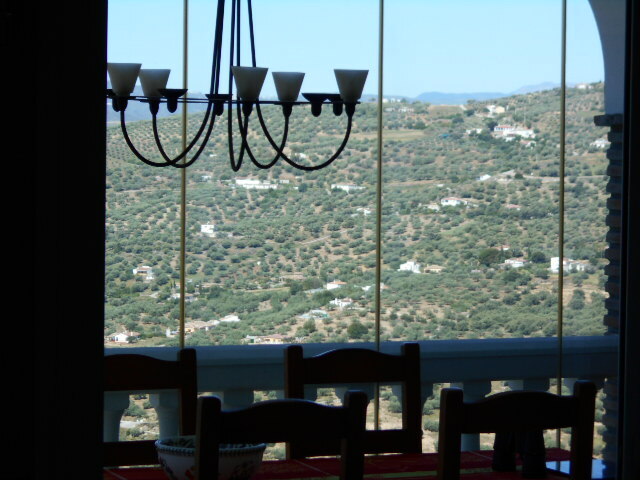 A lovely villa set over 2 storeys with 3/4 beds and 3 baths with stunning, breathtaking 360 degree panoramic views of the surrounding mountains, countryside and Lake Vinuela. 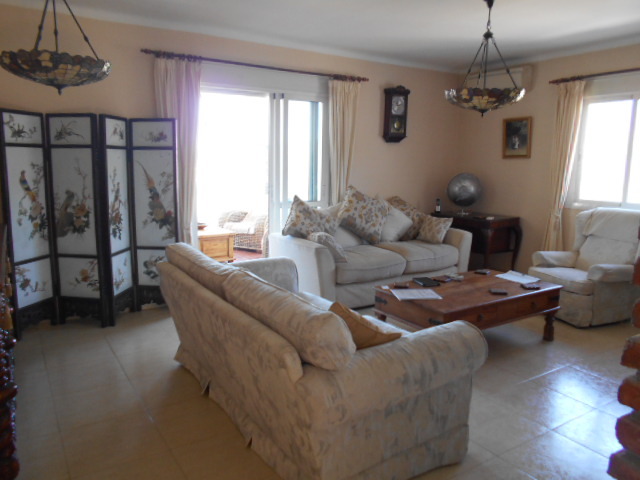 Positioned in the countryside in the small hamlet of Macapa, very close to the white washed village of Alcaucin. 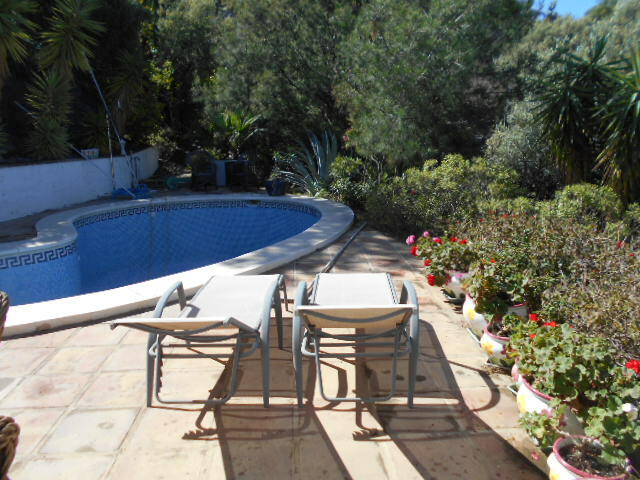 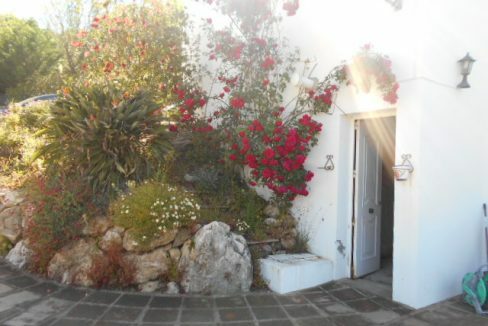 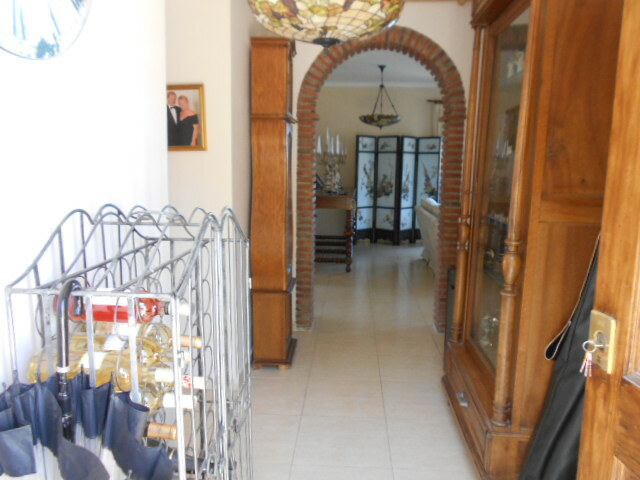 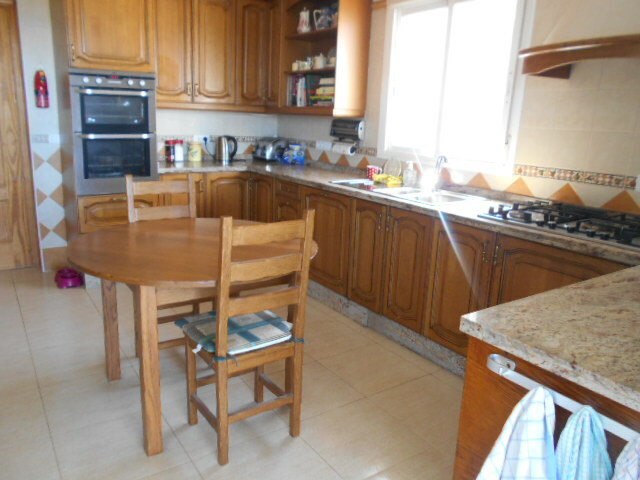 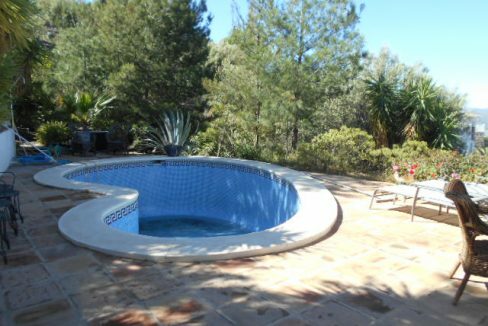 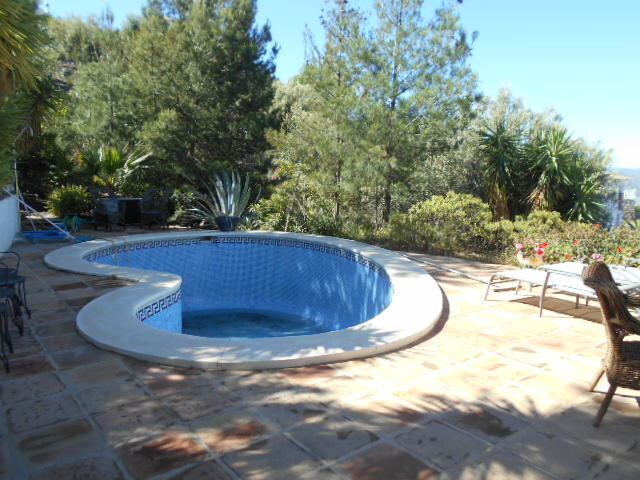 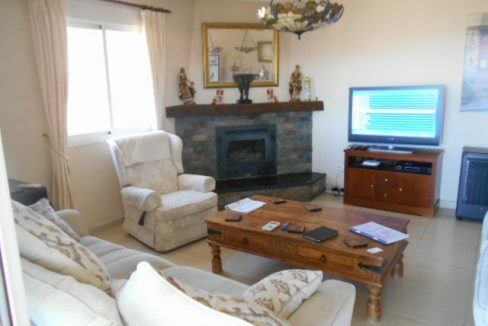 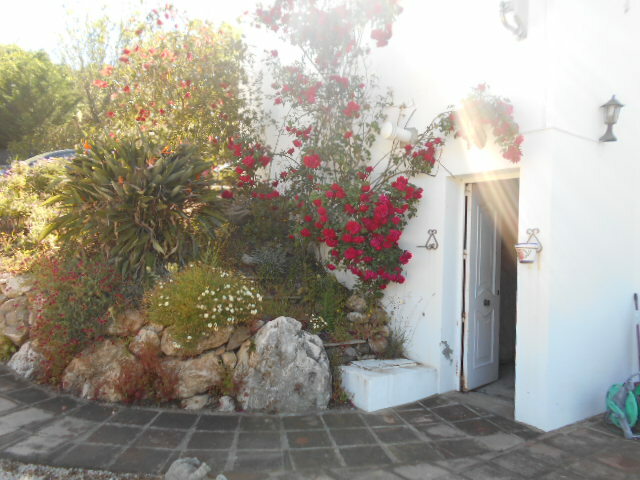 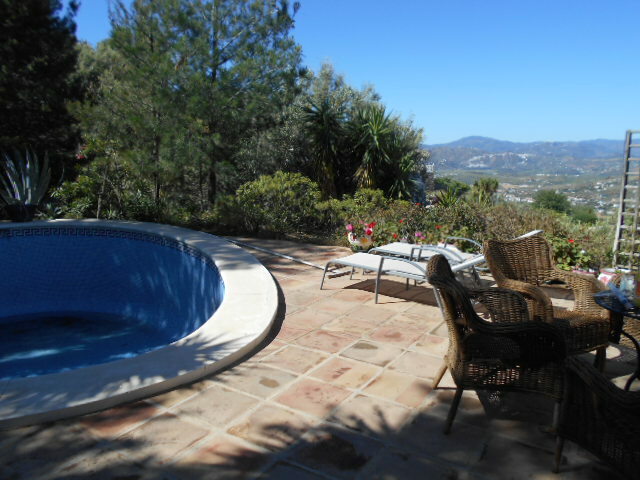 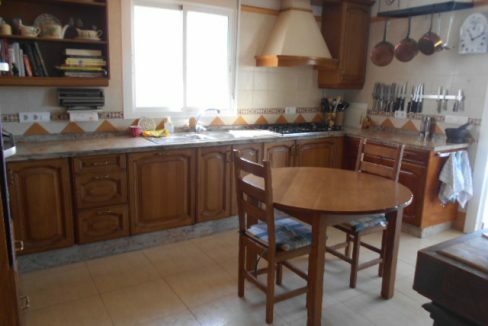 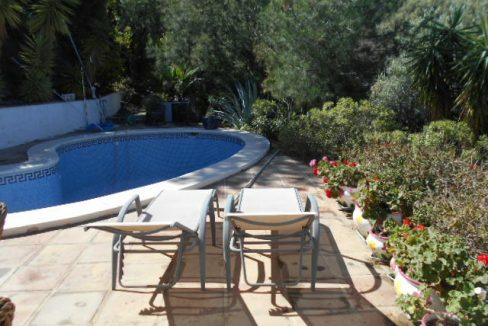 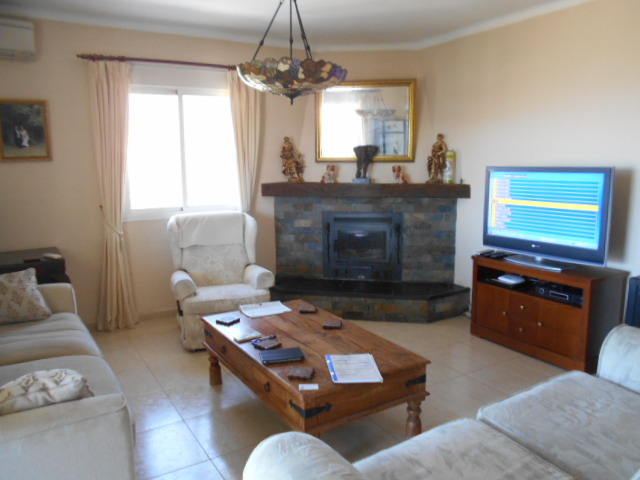 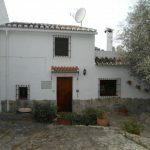 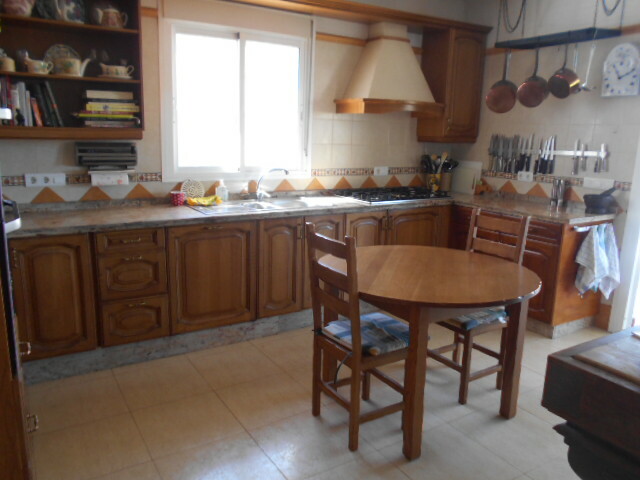 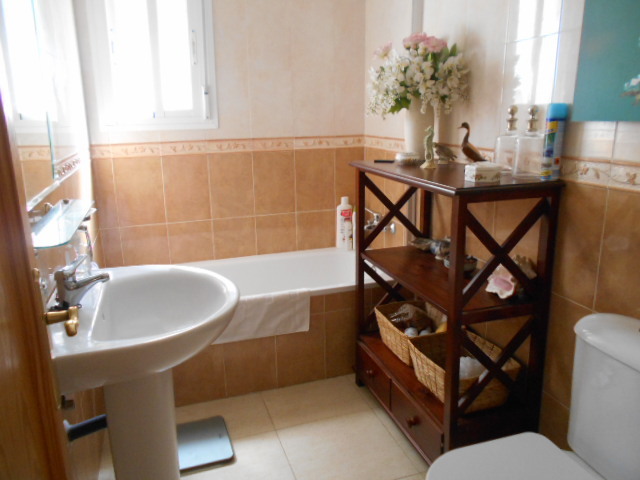 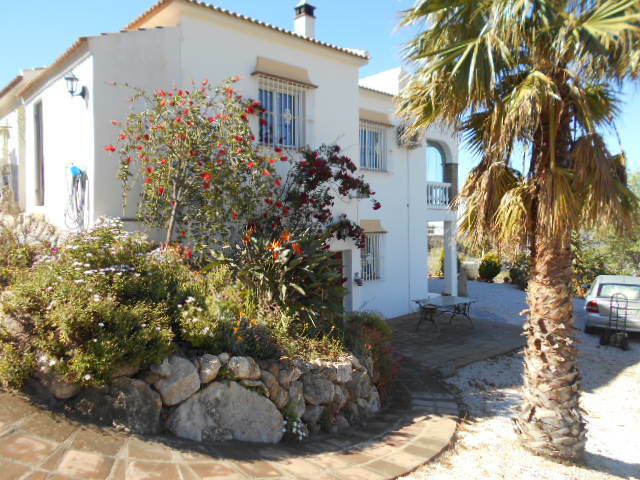 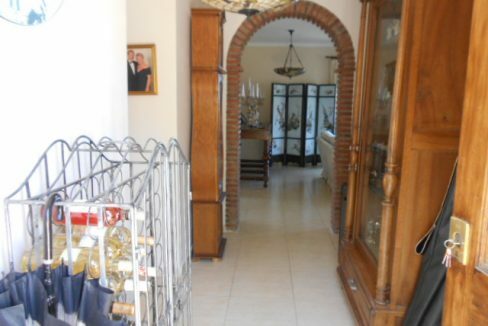 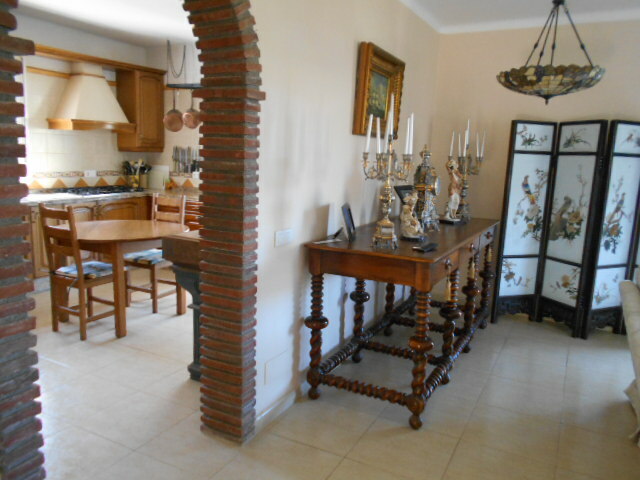 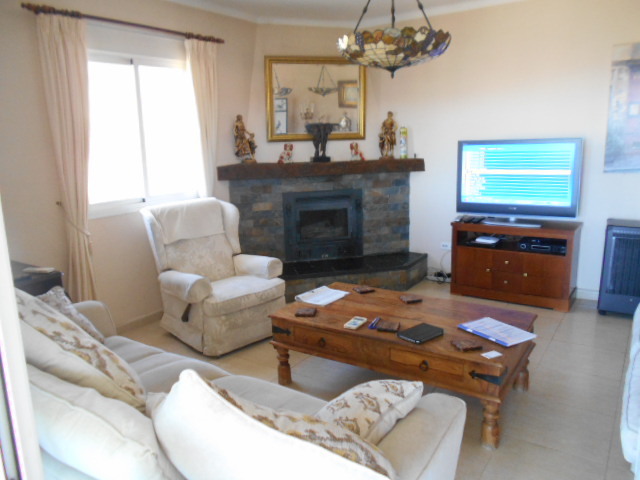 Property has landscaped mature gardens with lovely rockery areas and fruit trees, private kidney shaped heated pool. 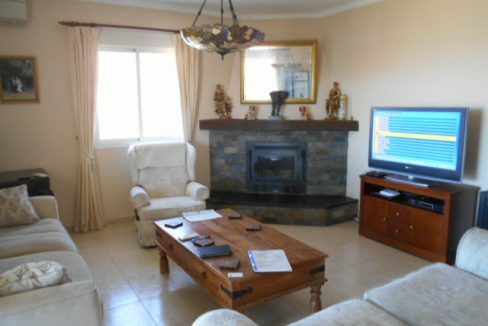 Lounge with log burner, air con and fitted kitchen off and glazed sun room/dining room with views to the lake and mountains, guest bathroom. 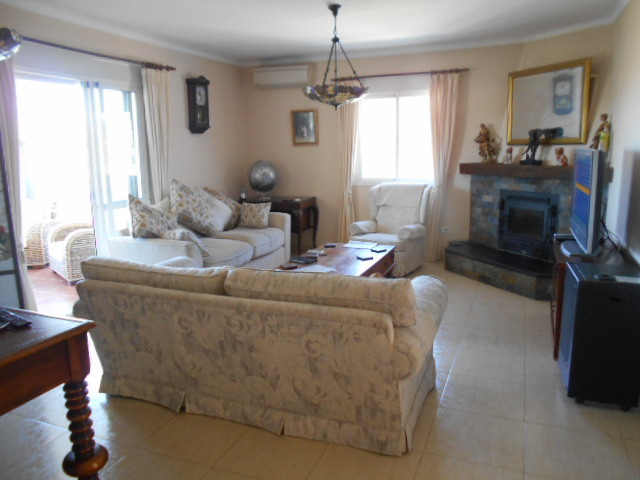 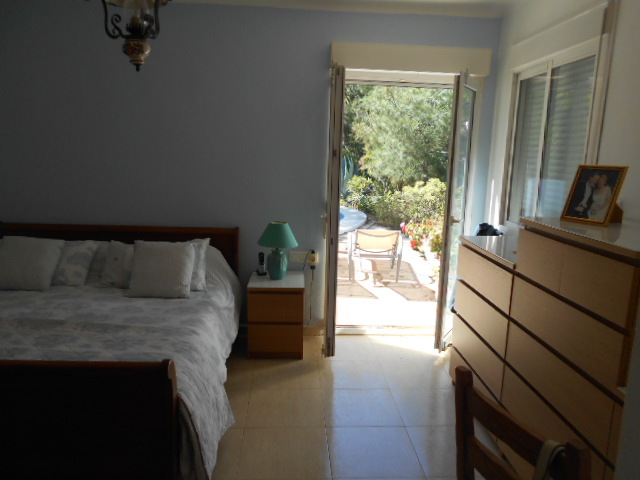 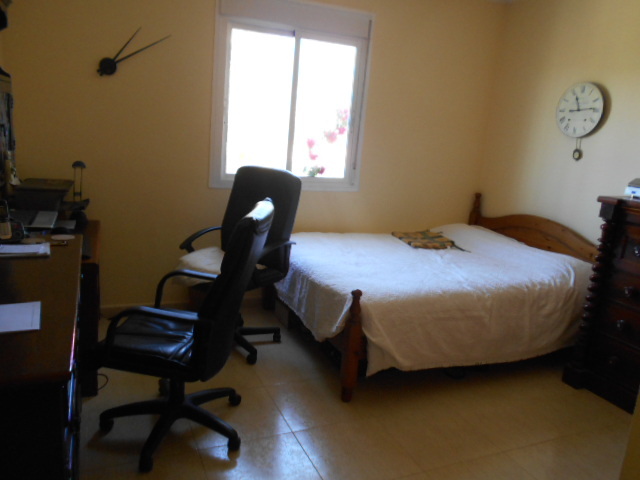 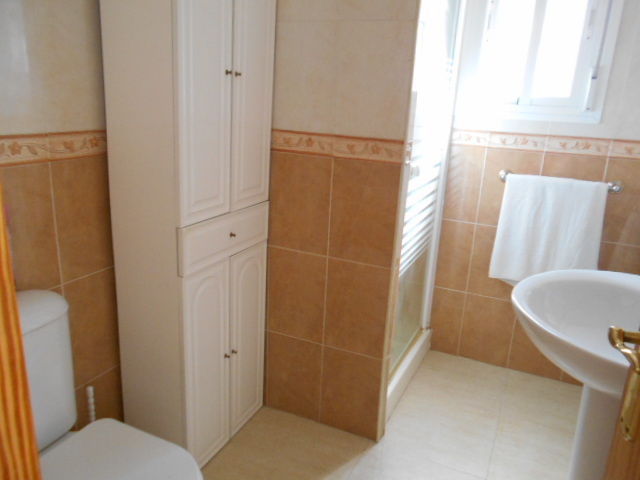 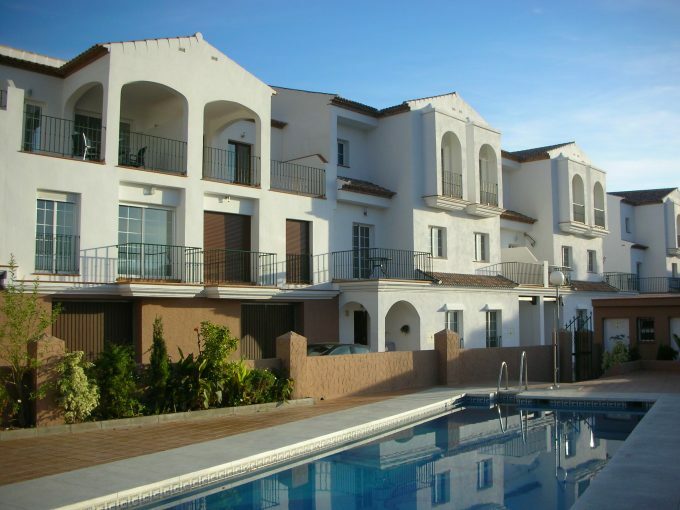 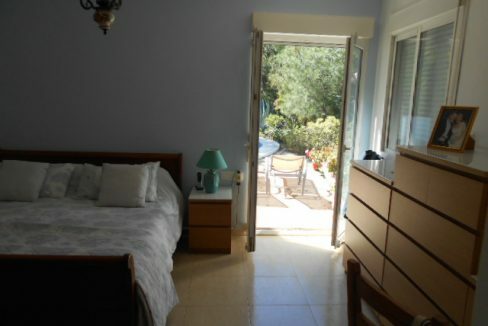 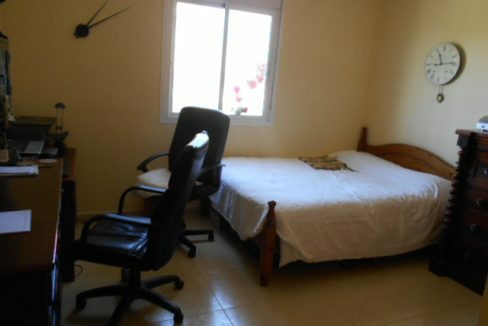 2 double bedrooms, 1 with air con, ensuite shower room and double doors to the side terrace and pool. 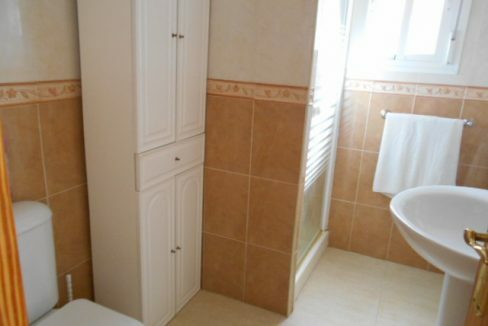 The under build with large cellar and separate living area of lounge / possible 4th bedroom, double bedroom with door to patio and shower room.